Worship defines God’s people. It reveals what we believe about God and, at the same time, teaches us what we ought to believe about God. 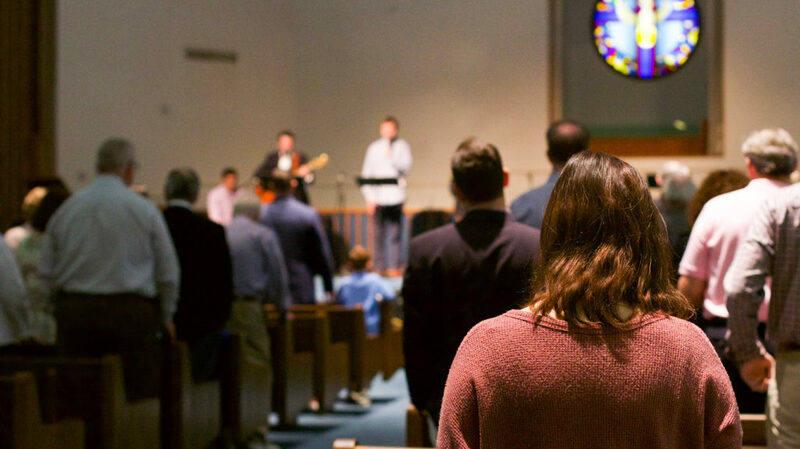 As a church family, we gather on Sunday mornings in the main sanctuary at 10:00 AM. There are many activities we undertake together as a church community, but nothing is more foundational than corporate worship. Please join us as we seek to worship the Lord in spirit and in truth. On Sunday Evenings, once or twice a month, we gather together for the main family time of our life together as a church. This is not simply a repetition of the Sunday morning service or simply a more casual “evening” service. This is a time where we intentionally seek to build relationships on Christ and the gospel through prayer, testimony, hearing God’s Word preached and sharing the Lord’s Table together. For many members, this is their favorite gathering of the week because this is where we truly get to be a church family in the Lord.